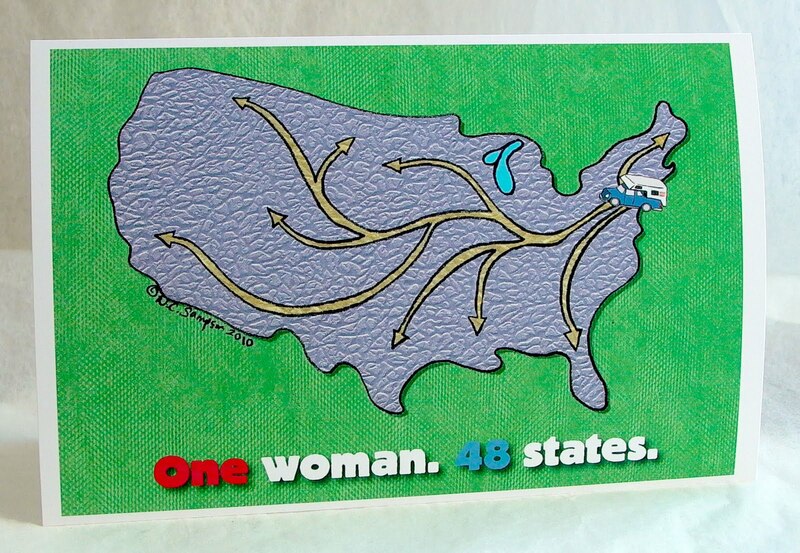 One of my fellow volunteers at God’s Love We Deliver, Jicky, has been planning to leave on a year-long, cross-country road trip this month and another fellow volunteer asked if I would create a custom card for her send-off party that the rest of the volunteers could sign. 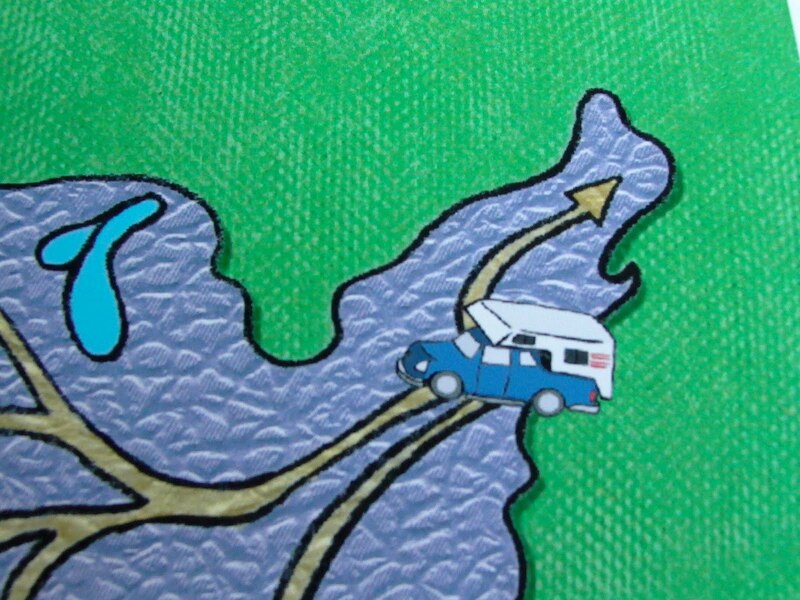 Luckily, Jicky had already e-mailed me a photo of her pickup truck with a camper attached which I was able to use as reference for my drawing. Her ultimate goal is to make a visit to each of the continuous 48 states over the course of the year, so I drew arrows to indicate her routes in many directions. I was going for the feeling of asphalt by using the purplish-gray, crackled texture in the map portion of the image. The inside of the card reads: Have a great drive, Jicky, we’ll be cheering you on!